Thank you a lot. 🙂 great. Try rebooting immediately after you change the product key. Do you get a success message after changing the product key? 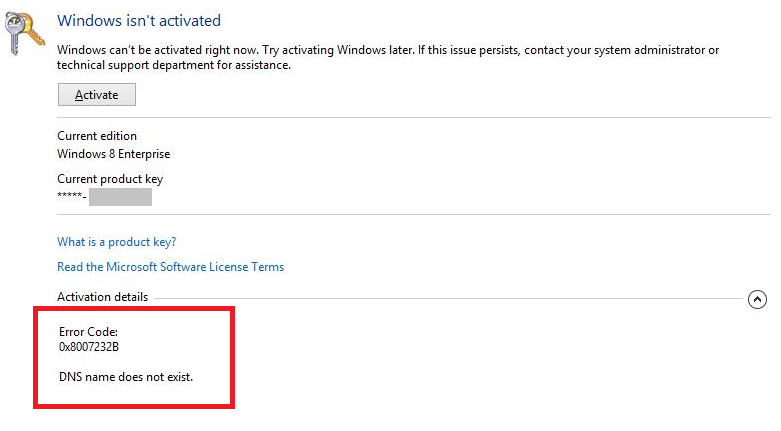 It worked for me BUT… how do I “proceed to activate Windows 8 using Microsoft’s activation servers online” ??? I tried to proceed in my system,,, but happened that error again. Try rebooting after you change the product key. Worked perfect here for my MSDN key, thanks Joe. Does seem like a pain, but could be that they are trying to prevent folks from using MSDN for production by making activation difficult. You’re a rock star! Thanks for making this Mac technician’s day that much easier! Awesome! I’m glad this helped you. Thanks. All works as described. Thanks a lot. Ran into this issue & the above solution worked flawlessly. same error for me too. When i open windows activator and select the option “win 8 install/uninstall”, a cmd prompt will appear asking to hit y. if i hit y, the page will disappear and no change occurs. The Best! works like a charmed! Thanks Jose! 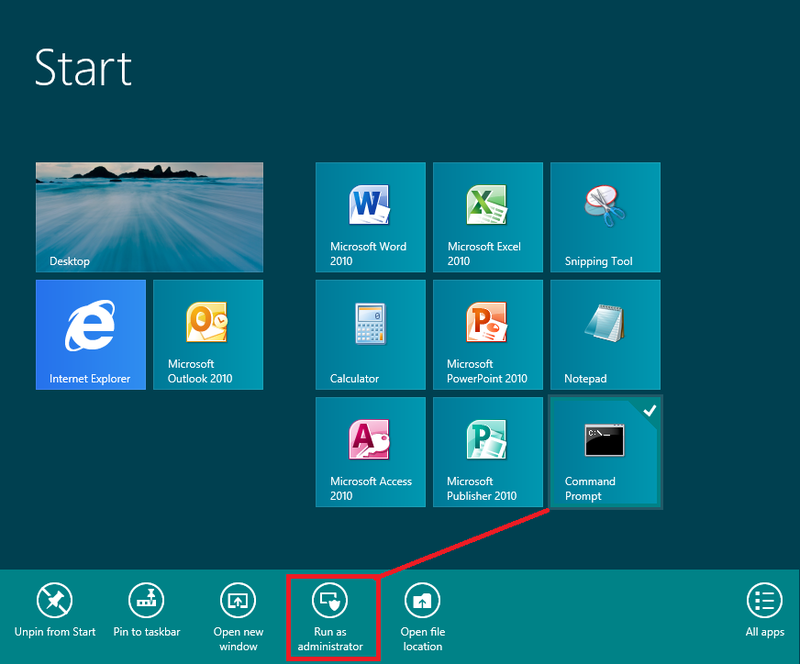 Windows 8 immediately recognized the new msdn key and activated it. Quick and painless … after reading your tip! Great post, glad I found it. Worked perfectly. Once I change the Product key in the cmd prompt and get a success message…do I need to do anything further to Activate? hi joe…same probleom with the same error! i did all the steps that u wright – got succsess message – restart but nothing! same error “DNS Name does not exist” cant activate! help??? ok…i solved this problem of DNS error (although the slmgr command did nothing also) after than i got KMS error says that unable to contact the KMS! after along hours i found some bach file somewhere in the net, i operate it and now my win 8 says that is activated BUT…the action center keep telling me that i need 2 activate windows. Someone know Y? how can i check windows is really activated? A great Thank You from Denmark too. It worked as you described. “Error: 0xC004F025 Acceso denegado: la accion solicidata requiere privilegios elevados” QUE PEUDO HACER? Will let you know of how I go with your steps. Thank you for this helpfull tip. Thanks for the info. I have the same problem but with a further issue, my windows copy came with a new laptop so I don’t have the key – it’s encrypted somewhere in the BIOS as I understood and the activation should have worked automatically. Any information on how to deal with this? It worked great for me. Thanks for the tip. I did the same and I got the same message but still I can not activate my product key. It would be really nice if you can help me? Thanks, simple good directions that worked. i had legitimate windpows 7, but for a change i installed windows 8 pro N ..m not sure whether its legitimate also i dont have product key…i tried to use hacked key from google, but later received error: access denied: the requested action requested action requires elevated privileges. .
i had legitimate windpows 7, but for a change i installed windows 8 pro N ..m not sure whether its legitimate also i dont have product key…i tried to use hacked key from google, but later received error: access denied: the requested action requested action requires elevated privileges. also its not asking to buy or try another key..i can only try installing key from cmd and getting this access denied error message…any help on this? After spending 30 minutes on the phone with Microsoft being transferred around from one person to another who did not have a clue about how to resolve the issue am very thankful for this post. Thank you so much! This worked perfectly and helped me fix my laptop. I cannot even express how appreciative I am of this. It really worked, thank u very much. it showed me message succesfully key installed but how to activate by Microsoft’s activation servers online. I did this and then rebooted it and tried to activate windows but got the same error message? someone please help!